Great desk toy! Magic Cube custom printed in full colour with your design achieving 100% coverage. 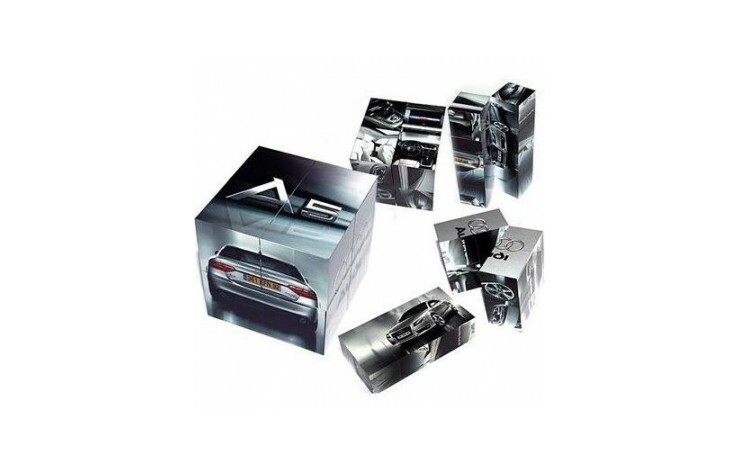 This fun item is supplied shrink wrapped as standard and has excellent branding potential with it's multple print areas. Brilliant as an usual giveaway. Prices based upon 70 x 70 x 70mm cube. Other sizes available POA. Guaranteed to keep your hands busy! Print Photographic Images at no extra cost. Individually Shrink Wrapped as standard. Express Service is available POA. Note: Setup is charged at £105.00.